The Fuschia Link Enamel Stacker is embellished with fuschia enamel and bezel set CZ. 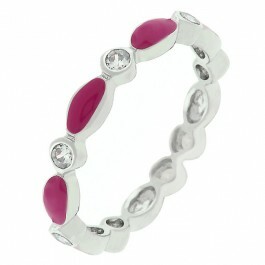 Fuschia Link Enamel Stacker is trimmed with a stunning silver tone. Its color and size make it pure fun. 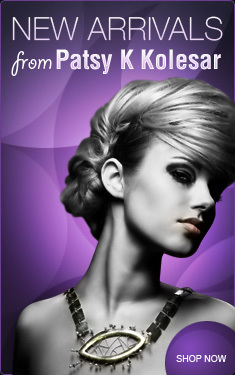 You'll love how the color stands out. Try mixing it up with our other stacker rings and stack 'em up! White Gold Rhodium Bond is achieved using an electroplating process that coats the item with heavy layers of rhodium, a close cousin of platinum that costs three times as much, which gives our jewelry a platinum luster.